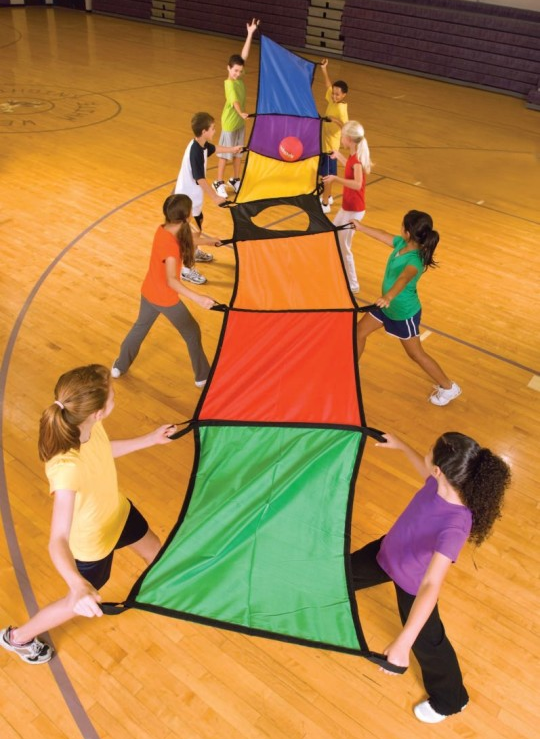 We are all familiar with group parachutes, but have you tried activities with two person parachutes? 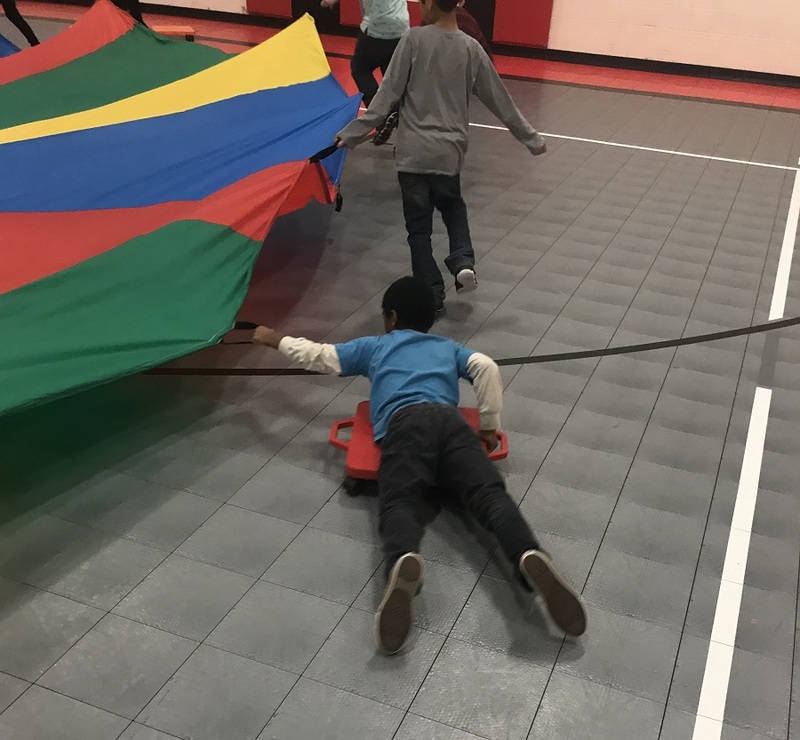 Alyssa Dabbenigno, a Physical Education teacher from Virigina, shares with us this fun activity using our Spectrum Connect-a-Chute Pack of parachutes as two person parachutes. 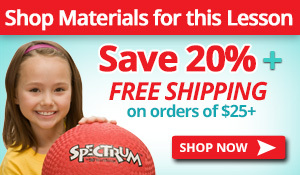 Participants will learn to work together, practicing throwing, catching, and retrieving. 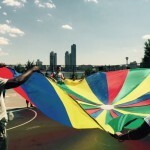 Two members from each team will be selected to hold the Parachute. Catchers may move side to side but can not cross the black line to get closer to thrower! One member from each team will be selected to be the “Thrower”. 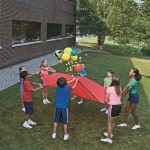 Their job is to go through the 5 Steps of an Overhand Throw using the parachute as their target. Staying behind the cone they may throw 1 pop-fly at a time. The last member of the team is the “Retriever/Ball-boy/girl”. Their job is to run back to the bleachers where all of the objects (gatorskin balls, yarnballs, and rubber frogs) are scattered around. They may pick up one object at a time and RUN to the “Thrower”. 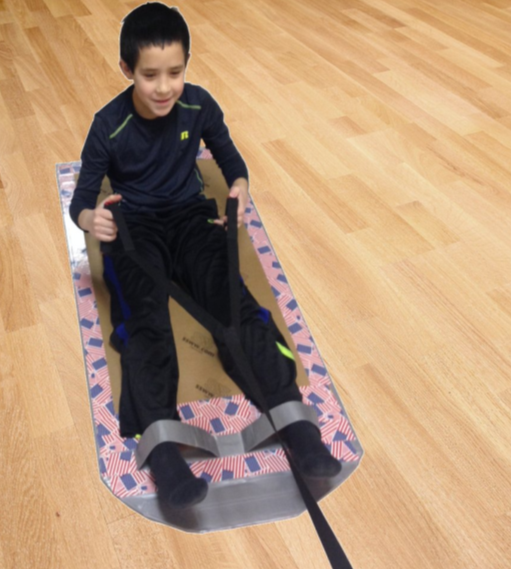 Hand them the object – DO NOT roll or throw. 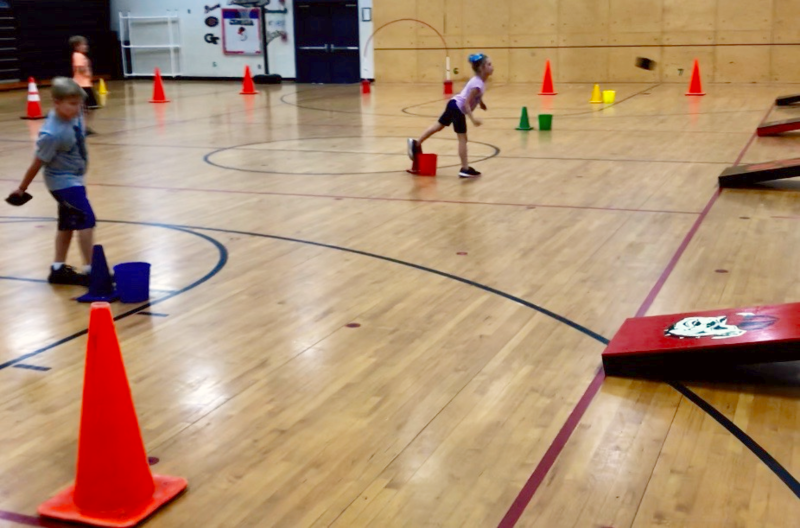 If you are interested in adding the Spectrum Connect-a-Chute Pack to your PE program, save today with our special blog discount. 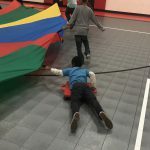 This entry was posted in Active Play, PE Activities & Games, PE Central and tagged lesson plan idea, parachutes, PE Teachers, Physical Education by Guest Blogger. Bookmark the permalink.